Home » Christmas » Christmas is Coming!! 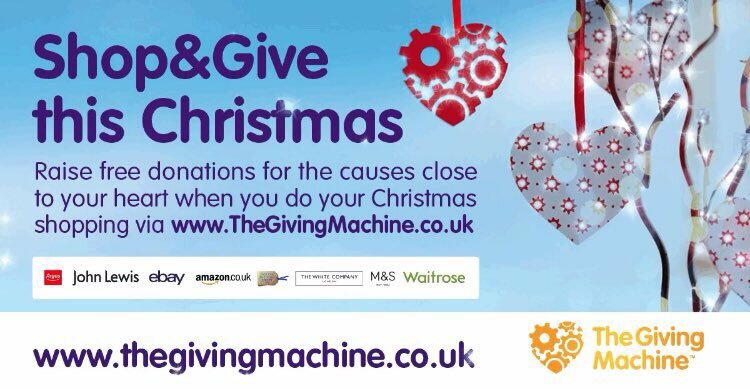 Why not use your Christmas Shopping as a force for good and support Trafford Carers Centre this Christmas with the Giving Machine. Shop at all your favourite brands and the Giving Machine generates a free donation every time you shop online. Help us to help even more Carers this Christmas! !